Travel to Cape Town and see why this city tops travel lists ranging from TripAdvisor and Conde Nast to the Telegraph and the New York Times. Lazing in sunshine at the foot of Table Mountain, Cape Town offers a beguiling blend of big city comforts and beautiful natural environments. Where else in the world can you start the day with cappuccinos and croissants before going shark-cage diving, whale watching or hiking a wild mountain trail? Needless to say Cape Town is an easy city to fall in love with. The atmosphere is friendly and unhurried and it is a city you stroll around, shop at local markets, sit down with a coffee and watch a cosmopolitan world go by. A generally warm and sunny climate means much happens outdoors – hiking, surfing, horse-riding and mountain biking – but rainy days are covered by Cape Town’s eclectic range of indoor destinations – a superb aquarium, interesting museums and of course the got-it-all V&A Waterfront. Many travellers to Cape Town prefer the convenience of a V&A Waterfront hotel but accommodation in the city also includes intimate boutique hideaways, private ocean villas and self-catering apartments as well as up-market backpackers. Car hire is easy and highly recommended for independent-minded travellers who want a flexible itinerary, especially if they intend to take in the Winelands and Whale Coast. It’s a city that will appeal to all types of traveller. Honeymooners and romantics will love the dreamy views and private accommodation of Cape Town’s more exclusive accommodation; families with children will appreciate the range of self-catering family apartments and long list of fun activities. You can laze on beaches, learn to surf, paraglide off mountains and meet the locals on cultural tours. Food and wine enthusiasts will find plenty to taste and take home – several of the country’s top restaurants are set in and around Cape Town and it’s only a short drive to the welcoming Winelands. Cape Town is easy to travel to and makes a great starting point for a larger tour, taking in a safari in Kruger, Botswana or even Victoria Falls. 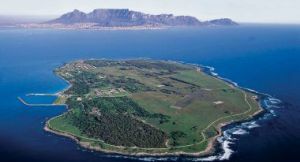 Choose when you travel to Cape Town carefully however: although many of its famous attractions are year-round, such as Robben Island and the penguins of Boulders Beach, other highlights such as whale-watching and shark-cage diving are seasonal – ask us for more information. We can also help you book your Cape Town activities to make sure you won’t be disappointed. Browse our recommended Cape Town holidays or contact us for a tailor-made itinerary based on your needs. Table Mountain – the iconic Cape Town travel experience, you can’t beat the view from the top of this 1000 metre flat-top. 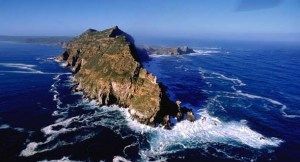 Cape Point – giant views await visitors to Cape Point but explore a little – wild beaches, hiking trails & wildlife to discover. Boulders Beach – watch African penguins in their natural environment & conveniently close to Cape Point. Kirstenbosch Gardens – famous for its staggering diversity of plants, dramatic mountain setting & picnic-perfect lawns. 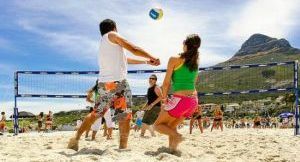 Clifton & Camps Bay – tanned & toned beachgoers flock to fashionable Camps Bay & the sheltered coves at Clifton. V&A Waterfront – shop, explore & eat (five-star dining or fish ‘n chips?) while boats sail by & buskers liven up the day. Constantia Winelands – wine tasting close to the city. Constantia’s estates have grand manor houses & superb restaurants. City Centre – conveniently compact & best explored on foot. Free walking tours that leave from Green Market Square. 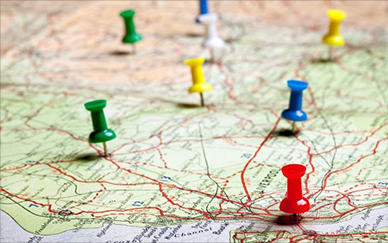 Sightseeing made simple! 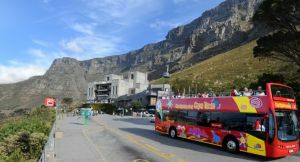 The hop-on hop-off bus stops at all the city’s central attractions: the V&A Waterfront, Kirstenbosch Gardens, colourful Bo Kaap, Constantia Winelands, Table Mountain & trendy Camps Bay beach. Hire a car & take a slow drive around the Cape Peninsula, taking in Cape Point’s beautiful scenery, the penguins at Boulders Beach & a stroll around the quirky fishing village of Kalk Bay. Impossibly scenic Chapman’s Peak Drive makes the ideal return drive. City-based Camps Bay & Clifton are the best-known beaches & are popular in summer but Cape Town has many sandy shores: learn to surf at Muizenberg, go horse riding on Noordhoek or watch the sunset from Llandudno. Hike the well-trodden route straight to the top of Table Mountain or hire a local professional guide & get to know the mountain’s secrets: the unique vegetation, forested ravines & phenomenal views. 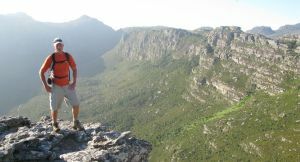 You can hike Cape Point too, as well as trails in the Winelands. 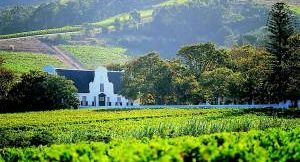 Surrounded by alpine mountains, Stellenbosch and Franschhoek lie an easy hour’s drive out of town. Sip & swirl wines on vine-covered patios & treat yourself to an extravagant meal at one of the country’s top restaurants. 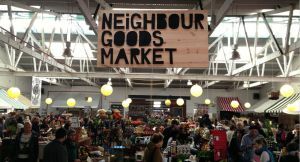 Cape Town loves its markets! 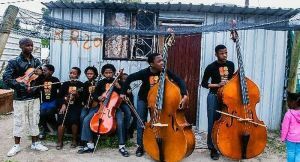 Saturdays buzz with energy at the Old Biscuit Mill; the Hout Bay weekend market has live music, & Thursday evenings at Cape Point Vineyards is a midweek market treat. Experience the extraordinary! 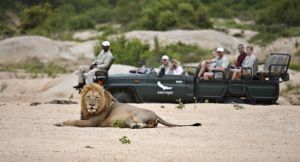 Let us tailor-make your trip to Africa.